At 91 years of age, legendary Israeli violinist Ivry Gitlis shows no signs of retiring his bow as he has returned to Korea after two decades to perform a special solo concert in Seoul and to conduct two master violin classes. “I don’t remember exactly when it was (when I was last in Korea), but it was anyways the last century,” said Gitlis during a press conference held in Jung-gu on Wednesday. In his nearly nine-decade-long affair with the violin, Gitlis has become one of the most highly decorated classical musicians in the world. 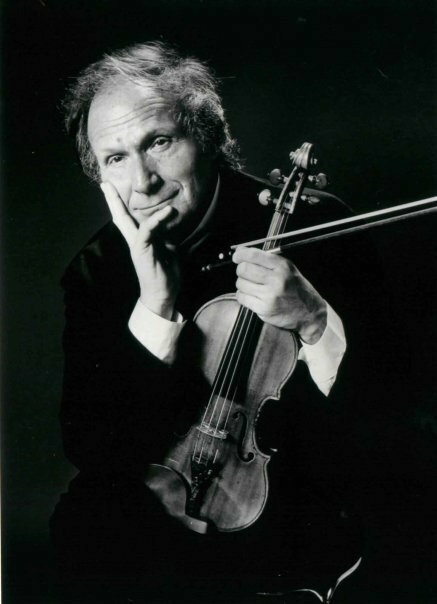 Much to the music world’s gratitude, Gitlis finally got his wish and received a violin as a birthday gift from his parents and the tender age of 5; the rest is history. Along with being a UNESCO Goodwill Ambassador, the musician has performed with some of the world’s most acclaimed orchestras including the New York Philharmonic, Vienna Philharmonic, Berlin Philharmonic, Philadelphia Orchestra and Israel Philharmonic Orchestra. Despite his advanced aged, Gitlis still maintains a refreshingly youthful outlook on his illustrious musical career and certainly has no shortage of quick witty remarks and humorously philosophical anecdotes. When asked why the musician decided to return to Korea for a concert after so many years, he responded, “Here’s why I came, to have breakfast,” as he bit into his croissant. Then why after nearly a century of life and music is the artist content to continue strenuously flying across oceans to walk out on stage, violin in hand? The answer is simple according to Gitlis; for without it, there is no life for him. The legendary violinist will perform live at the LG Arts Center in Seoul on Sunday, May 25. Gitlis will also conduct two special violin master classes at the UNESCO Hall in Myeong-dong on May 22 and at the Korea National University of Art the following day.